With Patterson Out, How Safe Is Charlie Strong? AD Steve Patterson is out at Texas, but will Charlie Strong be right behind him? Texas put the loss to Notre Dame behind them with an emphatic win over Rice. As the beat down in South Bend lingers this week, the inevitable finger pointing has commenced. Charlie Strong is shaking up the responsibilities of his coaching staff after a discouraging start to the season in South Bend. 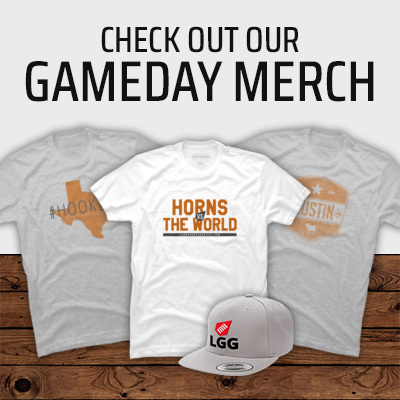 This was not the start to the season the Horns were looking for. Swoopes will start Saturday in South Bend, but Strong says Heard will play. Texas freshman Devonaire Clarington finally got word from the NCAA regarding his eligibility, although it can't be what he was hoping for. While Ronnie Major got the news he was hoping for from the NCAA, Devonaire Clarington's future at Texas is a little less decided. Welp, more bad news for the Longhorns. Running back Duke Catalon is also looking to transfer from Texas.